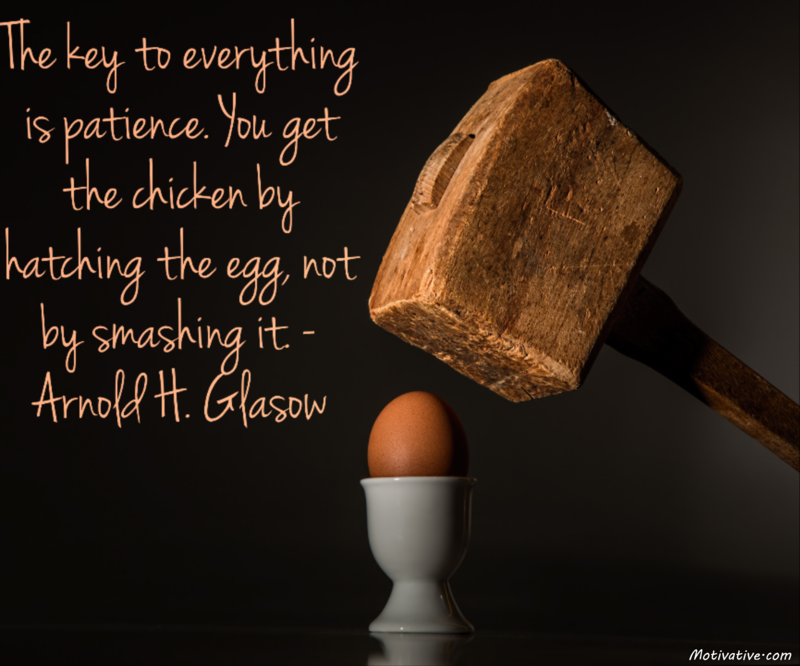 Patience in business or personal lives doesn’t mean inaction. It means having self-control to not get frustrated & angry if your desires aren’t immediately reached. Successes don’t come instantly & are hatched over time. Impatience brings stress, poor decisions & loss of control. Be composed & calm as you conduct your life reaching your goals.